The founders of Colorado Springs demonstrated pioneering spirit – and plenty of grit – to make a home beneath the majestic Pikes Peak – an awe-inspiring mountain that soars more than 14,000 feet into the sky. Of course, the days of saloons and high noon duels are long gone, but the city has clung on to some of the Wild West’s most distinctive touches. So whether it’s the Rodeo Hall of Fame, a horseback ride through the Garden of the Gods or a ghoulish trip to the Ghost Town Museum for recreations of wild old times, in Colorado Springs the spirit of the Wild West is never far out of reach. 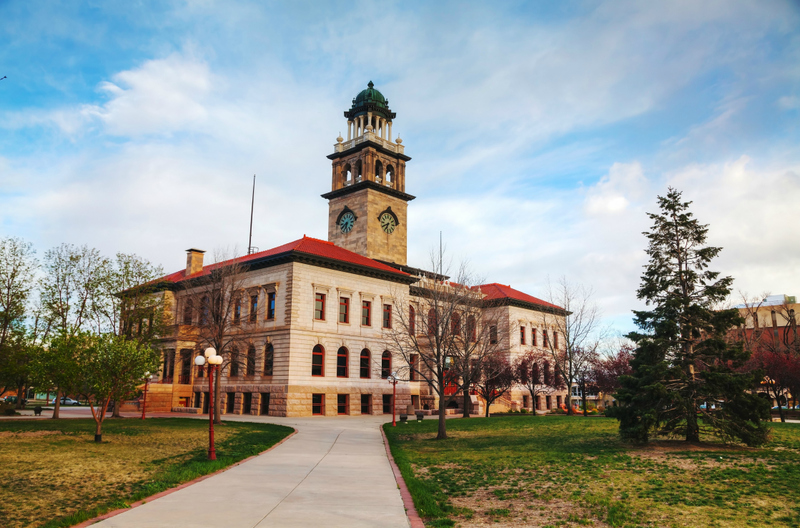 Located inside the old El Paso County Courthouse, this immaculately preserved building is home to the Colorado Springs Pioneers Museum. Brass lighting on marble walls illuminates an eclectic collection of exhibits and photographs that tell the story of Colorado’s founding fathers, as well as the city’s rise to riches with the discovery of gold in the region. It’s free to get in, and there’s no better place to start if you’re keen to imagine yourself as a Victorian visitor or Civil War hero living beneath a grand mountain that bathes in the sun’s rays. Walking up the wide tree-lined avenue towards the home of Henry McAllister, you’ll be struck by the handsome property coming into view. Built in 1873 and constructed in a style that was popular in England at the time, this red-brick home with beautiful architectural details is now a museum that offers tours to the public. The furniture, window dressings and even the paint will instantly whisk you back to the 1800s, giving you a real sense of the era. If you like the idea of sitting in a horse-drawn carriage as it rolls through the streets of historic Colorado Springs, head straight to the Penrose Heritage Museum. You’ll just have to use your imagination rather than climbing in the vehicles themselves as the carriages are the originals. Here you’ll get up close to a collection of horse-drawn carriages and motorised vehicles from Colorado Springs’ past – including a number of cars that were used in the annual car race up Pikes Peak. There are plenty of Native American artefacts too, a firearms collection, as well as a number of saddles, harnesses and stirrups. You’ll almost be able to smell the old leather. If you’d like to learn more about the Wild West’s cowboys, you’ll love the Pro Rodeo Hall of Fame. It’s quiet and peaceful so you’ll be able to take in all the information they have about rodeo, its history and its impact on Western American culture. But for a little more action, the film segments are a brilliant way of immersing yourself in the art form with the thundering sound of hooves and glint of a belt buckle. 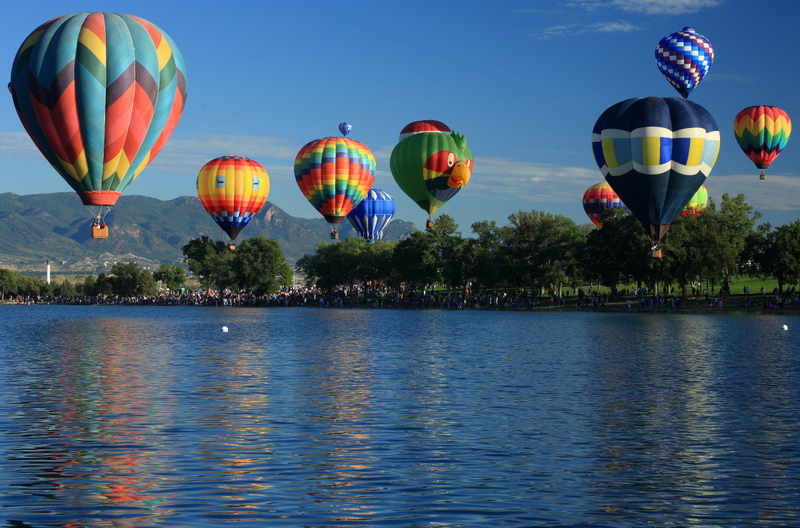 Of course, you’ll have an easier time reaching all of these attractions if you take advantage of Hertz car hire in Colorado – and you’ll unlock some of America’s most beautiful scenic delights when you do. 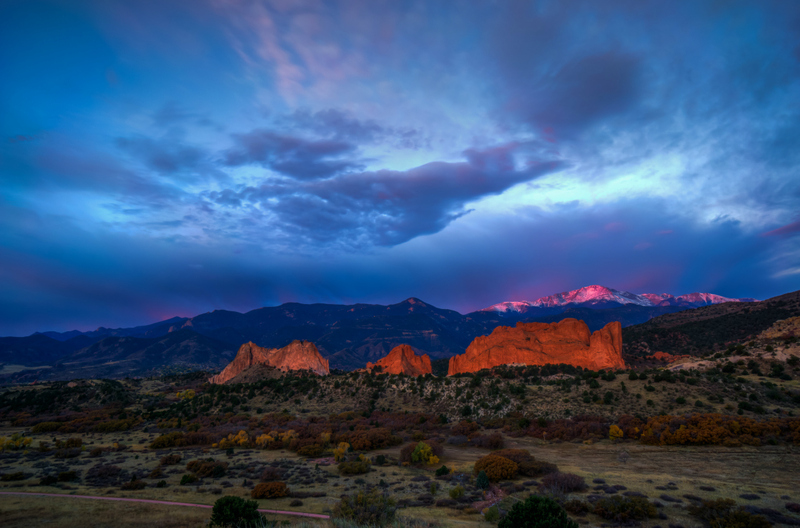 Drink in the Garden of the Gods and the Pikes Peak region from behind the wheel of the car, enjoying a trip that will give you a true feel for the Wild West.